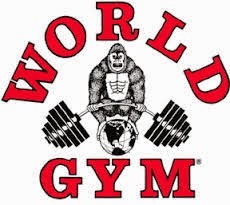 Regan's Rant: Tie breaker Tuesday!! Game Day Preview: For the first time in Kelowna Rockets franchise history a tie breaking game will be needed to decide if the team will make the Western Hockey League playoffs. 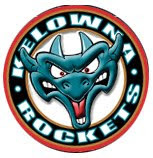 The Rockets, who tied the Kamloops Blazers for third place in the BC Division with 64 points apiece, will meet at Sandman Centre to decide who will face the Victoria Royals in the opening round. Twelve days ago, the Rockets had a 7 points lead for third place but the Blazers chipped away winning 5 of their last 6 games (5-0-1-0).The Rockets over that same stretch were just 1-2-1-1. The Rockets are coming off a heart palpating 3-2 overtime win against the visiting Vancouver Giants Saturday night. Mark Liwiski scored the game winning goal 3:40 into overtime. The Rockets ended the regular season with a record of 28-32-6-2, identical to the Blazers. The Rockets were 24-22-6-2 in 53 games under Adam Foote. Year End Award Winners: The Rockets held their annual awards Sunday at the Kelowna Community Theatre. Nolan Foote was named the MVP. Foote had a team high 36 goals this season. Kyle Topping was the Top Scorer and Plus/Minus leader. Kaedan Korczak was the Top Defenceman while Lassi Thomson was named the Rookie of the Year. Connor Bruggen-Cate was the Top Defensive Forward while Dalton Gally was the Unsung Hero. Kyle Crosbie was the Scholastic Player of the Year. Rockets Review: The team finished tied for third place in the BC Division, 8 points back of second place Victoria. The Rockets were 14-15-4-1 at home and 14-17-2-1 on the road. The team scored 54 goals on the power play after striking 79 times last season. The team allowed 62 power play goals against, which bettered last season’s mark when they surrendered 71 goals against. Kyle Topping, Leif Mattson and Kaedan Korczak dressed in all 68 games this season. Broadcasters Notebook: The Rockets haven’t met the Blazers in a playoff game since April 4, 2016 when Tomas Soustal scored in overtime in a game 7 win….The Rockets last playoff road win in Kamloops was game three of that series in 2016 when Michael Herringer made 40 saves in a 1-0 victory. Justin Kirkland scored the game winning goal….The Rockets are attempting to advance to the playoffs for the 12th consecutive season and for the 23rd time in the franchises 24 year history in the Okanagan…The team has missed the playoffs once, in 2006-2007, when they won only 22 times and collected just 53 points...Lassi Thomson has missed four games with an upper body injury…..Trevor Wong, the Rockets first round WHL bantam pick from 2018, has been recalled by the team after the Greater Vancouver Canadians were eliminated this past weekend from the BCMMHL playoffs. Wong had 42 points in 34 games (12+30=42) in his rookie season playing midget hockey….Connor Bruggen-Cate hit the 200 career games played mark Saturday against the Giants….Lassi Thomson’s 17 goals were one shy of the franchise record for goals by a European d-man. Tomas Slovak holds the record (18 goals) in 2002-2003….The Rockets were 7-10-3-0 in 20 games against a US Division team this season. Three of the 7 wins came against Tri City with one victory over Spokane, Everett, Seattle and Portland….The Rockets played 23-one goal games at home this season. 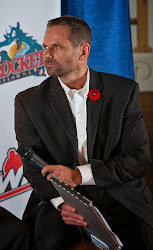 Last year they played 15-one goal games at Prospera Place…The team played in 12-one goal games on the road…The Rockets were 13-17-2-2 against BC Division teams this season…..Adam Foote was officially named the new head coach of the Kelowna Rockets on October 23, 2018 replacing Jason Smith. Overtime Games (10): vs. Vancouver (3-2 W) March 16, 2019, vs. Spokane (6-5 L) March 13/2019, vs. Portland (2-1 L) March 2/2019, vs. Kamloops (2-1 W) February 2, 2019, vs. Seattle (3-2 L) January 30, 2019, @ Kamloops (3-2 L) December 28, 2018, vs. Saskatoon (5-4 L) December 1, 2018, @ Tri City Nov 30, 2018 (3-2 win), @ PG (4-3 L) November 14, 2018, vs. PG (4-3 win) October 27, 2018. Will the Rockets make the playoffs?